Gramercy Park Hotel, in partnership with his longtime friend and co-founder of the legendary Studio 54 Ian Schrager; 610 Lexington, Lever House. Also in Germany, especially in Frankfurt, the RFR is in property of a large real estate portfolio. So they bought in 2007 the former headquarters of the European Central Bank. In addition, the company owns the Swift House at Jungfernstieg and the Kaufmann House located at „Große Bleiche“ street in Hamburg. 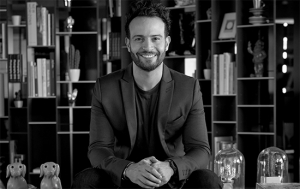 We are thrilled to partner with one of the most innovate entrepreneurs in the hospitality industry, Liran Wizman. 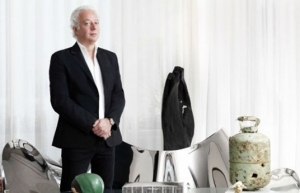 He is the owner & founder of Europe Hotels Private Collection (EHPC), which is based in Amsterdam but manages a portfolio of individual hotels in cities all over Europe. Liran focuses on creating unique and memorable experiences that are tailored to their locations. The portfolio consists of a diverse group of brands including Sir Hotels, Max Brown Hotels and Park Hotel. Extending its expertise, EHPC oversees the asset management for the W Amsterdam, managed by Marriott International and Away Spa Amsterdam, as well as the concept store X BANK. Liran is also the co-founder of EHPC’s strategic culinary partner, THE ENTOURAGE GROUP. A signature turnkey food and beverage service company with locations across Europe. Together with co-founder Yossi Eliyahoo, the group has brought to life culinary concepts such as IZAKAYA Asian Kitchen & Bar, MOMO, THE BUTCHER, the nightclub MAD FOX and the Michelin star restaurant THE DUCHESS. Liran started his career in hospitality by founding Grand City Hotels (GCH) back in 2004. The group has grown to be one of the largest hotel management companies in Europe with over 120 properties in Germany, The Netherlands, Belgium, Austria, Great Britain, Spain, Hungary and Cyprus. Mr. Duc, born in Vietnam, characterizes the Asian cuisine in Germany like no other – particularly his new interpretation of sushi & roll. In the age of 24 he opened his first sushi and barbecue restaurant „Kuchi“ in Berlin in 1999. 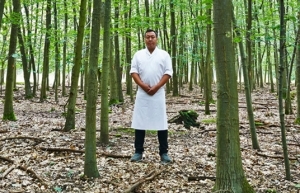 Two years later „Kuchi 2“ followed, in 2007 and 2009 „Cocolo Ramen“ and „Cantina@Bar Tausend“ became his latest restaurants in Berlin. His innovative cuisine combines pan-Asian cuisine with French or Peruvian for example. Ngo‘s first „out-of-Berlin“ project was „moriki“ in the towers of Deutsche Bank in Frankfurt. It opened in 2013. Only one year later the New York Times awarded moriki to „the place to visit“ in Frankfurt.